what are you hoping to accomplish with your gift? The responses are often client touches, thank yous, and top of mind awareness. December is the #1 month for corporate gifts and cards, so it makes sense to touch you clients as well, right? WRONG! If you send your gift in December, it will be competing against dozens of others; if you send your cards in December, you will be competing against perhaps hundreds of others. Instead of being one of many, pick an alternative time of year. You can move in one of two directions; first, you could choose an important date within your company, for example the company’s anniversary. a) Have a unique day that you can celebrate, and your gift will probably be the only one that will show up on your client’s desk or in their mailbox that day! b) Show another successful year & celebrate how long you have been out there doing what you do! In addition to touching your client, prospect or referral source, this can help build your credibility Anniversaries can be FUN, perhaps you can even use the traditional gifts (Year 1, paper, Year 2, cotton, etc.). The 2nd direction you could choose is picking a more traditional holiday. A couple of options are: ST. PATRICK’S DAY – you can spread the luck of the Irish in March by sending cards, clovers (plants), and gold coins (stamped with your logo). DAY LIGHT SAVINGS DAY – you can send a card reminder to “Be sure to set your clock forward” or even a clock, set to the right, newly changed, time! EARTH DAY – everyone LOVES the earth! 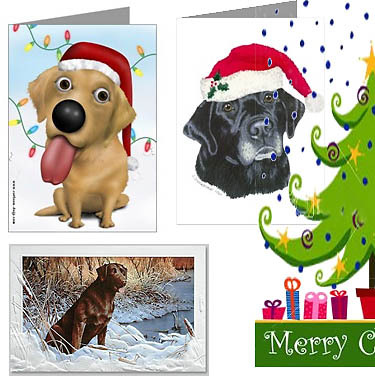 It is imperative to be creative in any gift or card sent for this holiday, as it needs to be recyclable or reusable. FORTH OF JULY – you can celebrate by sending patriotic cards and gifts. (Can also do for Flag Day, Memorial Day, Presidents Day, or any other Patriotic holiday) THANKSGIVING – you can send out Turkey cards, logoed stuff turkeys or logoed kitchen accessories (basters, scrapers, or utensils). Regardless of the holiday or reason you choose to celebrate, keep in mind your goal for sending out the cards and gifts. By being different, you can be remembered, when everyone else is forgotten. What have you seen set another company apart? Posted by Tiffanie Kellog on 11/07/2014 in Promotion. I like this idea! I know I always get tons of stuff around Christmas, especially calendars, and most of them get tossed only because I only have enough wall space for one or two. One of the best gifts we got was a clock that included temperature AND humidity readings. In my business, we use temperature and humidity readings daily, so it’s helpful to have it right in front of me all day, plus it was different. Celebrating a company anniversary is a great idea! We typically choose more traditional holidays to celebrate, but not any during the biggest holiday season of the year. What holidays do you usually celebrate Shannon? That’s an idea to think! Thank Goodness! I can skip the cards without the guilt this year. LOL I’m even skipping the yummy almond cookies I always bake for clients in favor of an open house. Some will come and some won’t. And that’s okay. I definitely agree Tiffanie, I make my own homemade eggnog to all my clients and associates. They always love it and can’t wait to have some more.